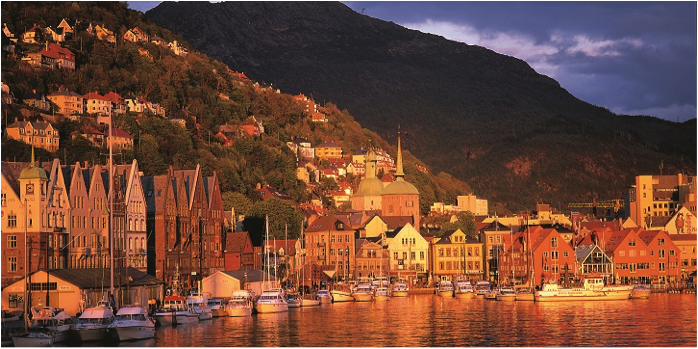 The beautiful city of Bergen in Norway is where much of Ally’s story is set. 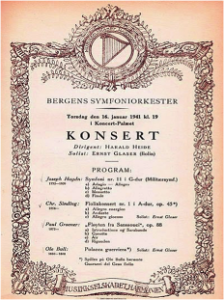 In 1765, a group of local musicians formed The Musical Society, which subsequently became the Bergen Philharmonic Orchestra, making it one of the oldest orchestras in the world. The orchestra was renowned for playing modern music and was the first to perform Beethoven’s Symphony No. 2, the same year it was published in 1804. In Bergen, one of the most influential people in the orchestra was Ole Bull, who joined as a local eight-year-old violin prodigy in 1818. Bull was a friend of the young Edvard Grieg’s family as well as his uncle by marriage, and was the person who advised them to send their talented 15-year-old boy to Leipzig to study music. When Grieg returned home in 1862, after three years at the Conservatory, the orchestra played Grieg’s first and only symphony. The people of Bergen finally persuaded Grieg to become the orchestral conductor 1880. He stuck at it for just two years though, during which time he was in constant conflict with the conservative board members and choristers. After his death in 1907, part of his estate was left to the orchestra. As described in the story of Pip, Karine and their child Felix in The Storm Sister, the Nazi occupation of Bergen had a profound effect on its people and on the Orchestra. The Nazis invaded Bergen on April 9th, 1940, and in January 1941 a concert was interrupted by a group of youths from the Norwegian Nazi Youth Organisation. 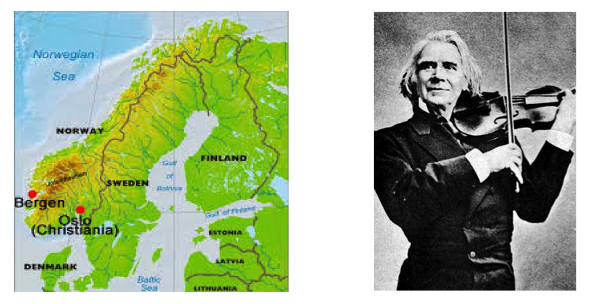 The soloist, playing Ole Bull’s violin, was the Jewish violinist Ernst Glaser – German-born but living in Norway. The orchestra’s conductor, Harald Heide, asked the orchestra to play the National Anthem instead of the original programme. Everyone – including the Nazis – were forced to stand up, and Ernst Glaser took the opportunity to flee. In 1968, King Olav V of Norway laid the cornerstone of a new concert hall, ‘The Grieghallen’ (Grieg Hall). A decade later, the building was finally ready, and in 1977 the Bergen Philharmonic moved into their new home. The American Andrew Litton arrived as chief conductor and started to shape the Bergen Philharmonic into the international orchestra it is today. From the original handful of semi-professional musicians in 1765, it has now grown to 101 professionals.